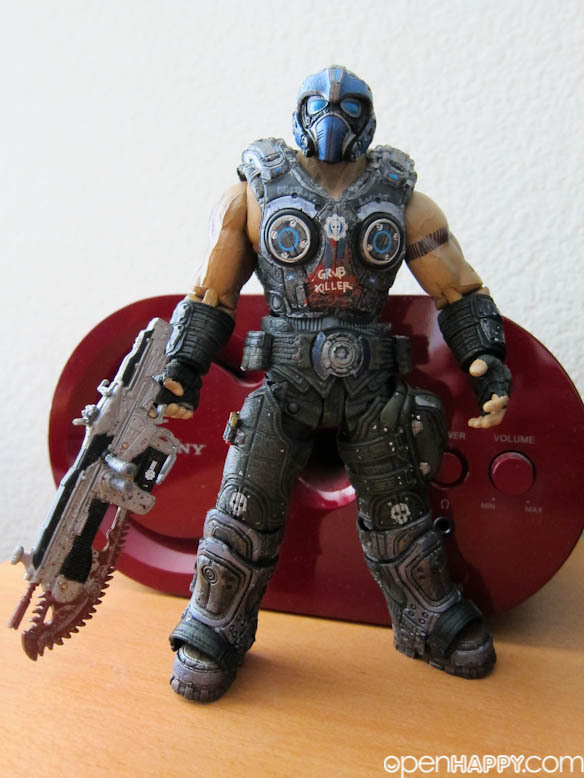 It is time to hunt down those Locust and eradicate them once and for all! 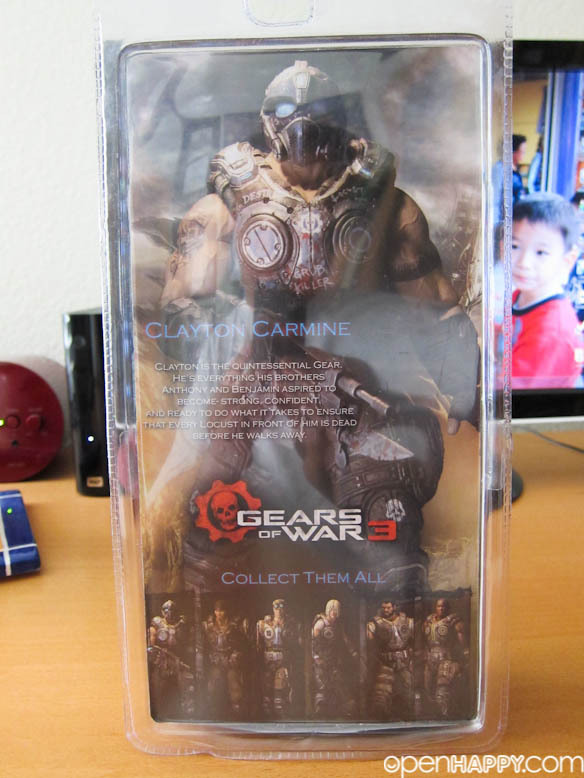 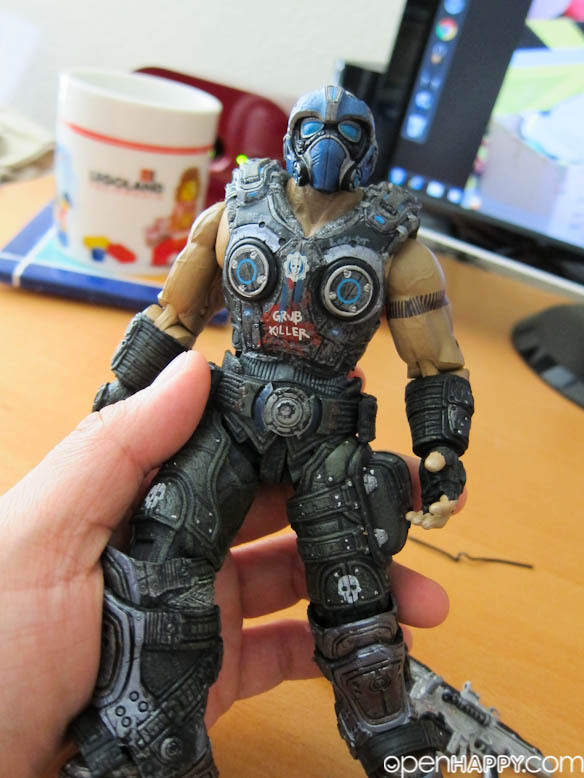 From Epic Games' finale in the Gears of War video game series comes this Gears of War 3 Series 1 Clayton Carmine action figure! 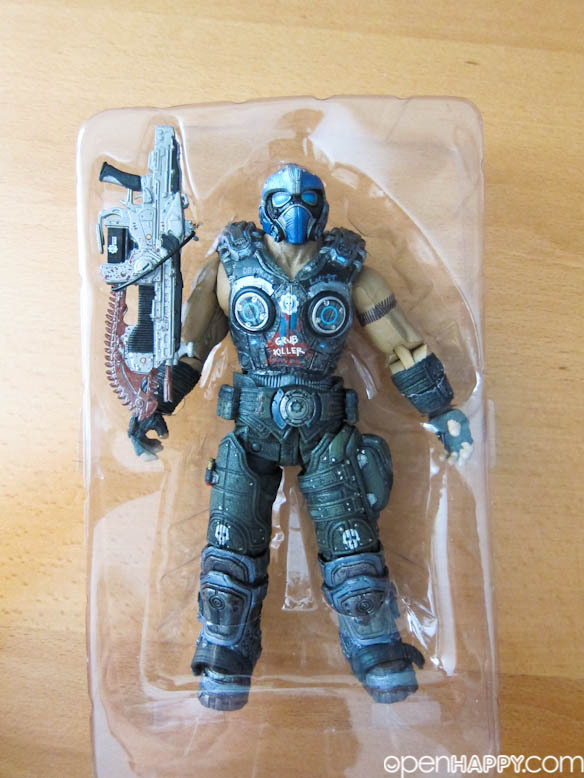 The Clayton Carmine 7-inch action figure comes with plenty of accessories and articulation! 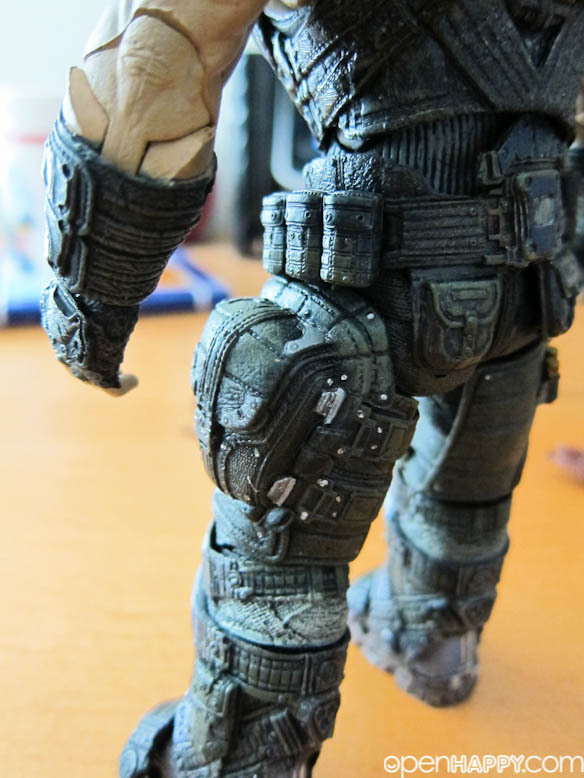 Improved sculpt features over 30 points of articulation, character specific weapons, and costumes and armors reflective of his in-game look. 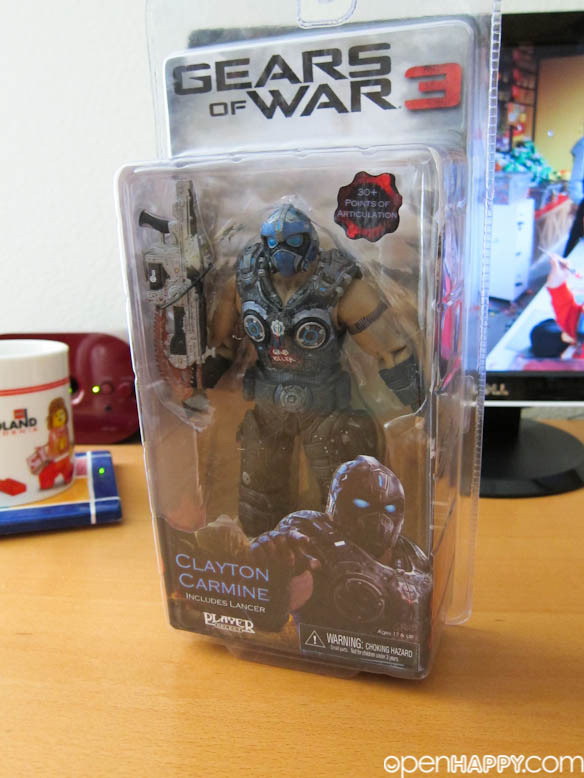 Clayton Carmine comes with Lancer accessory. 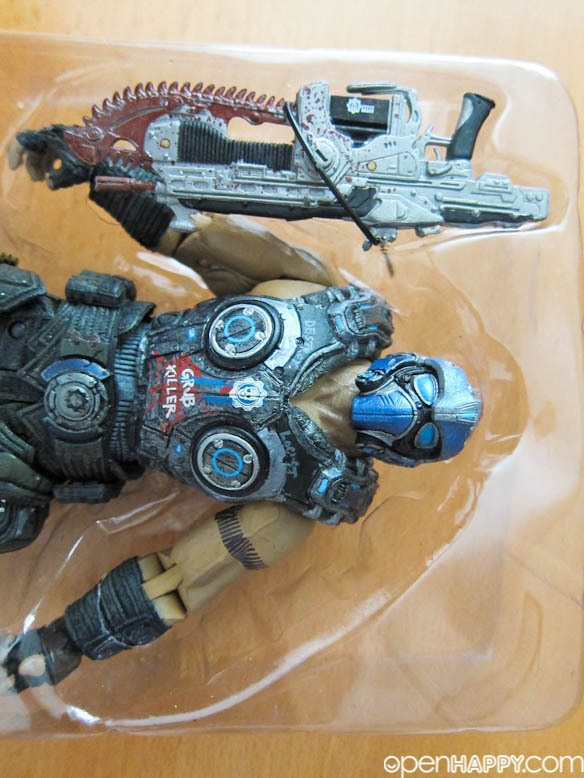 Amazing articulation includes ab crunch, pectoral movement, double elbows and much more! 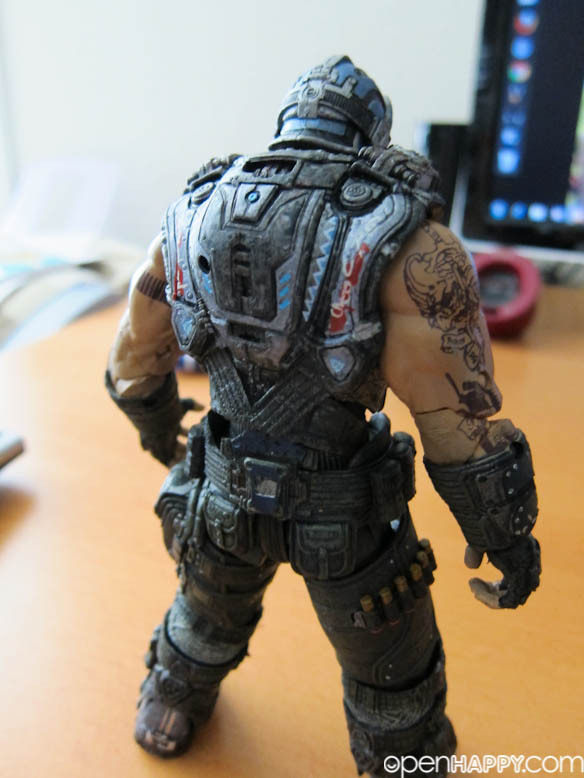 Additional weapons can peg to Carmine's back. 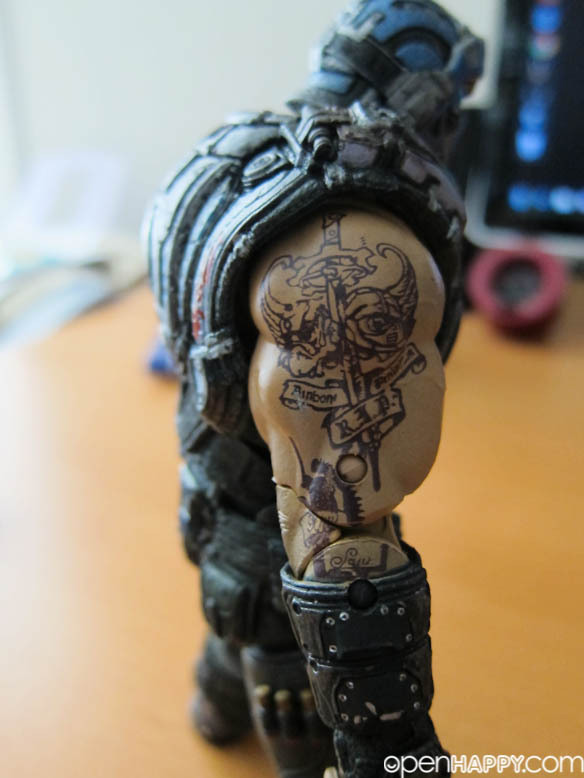 When the promotion comes out, he is supposed to get a retro lancer. 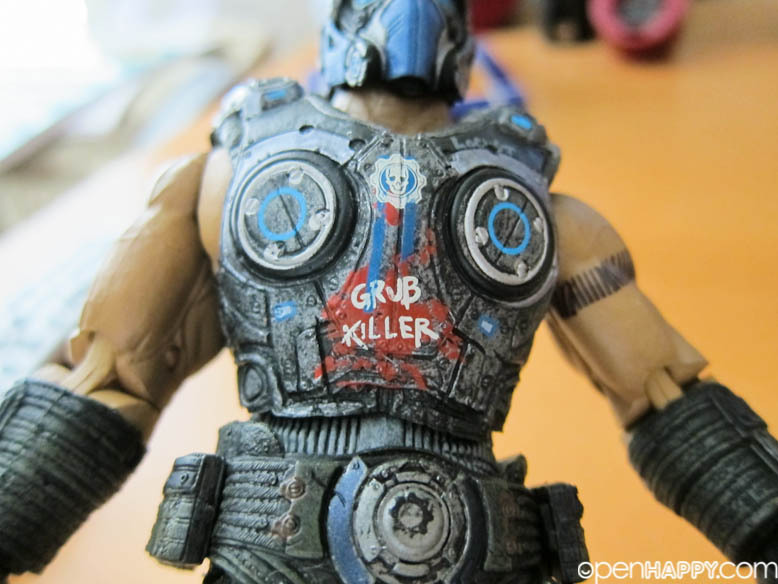 But somehow the normal lancer is included at the end. 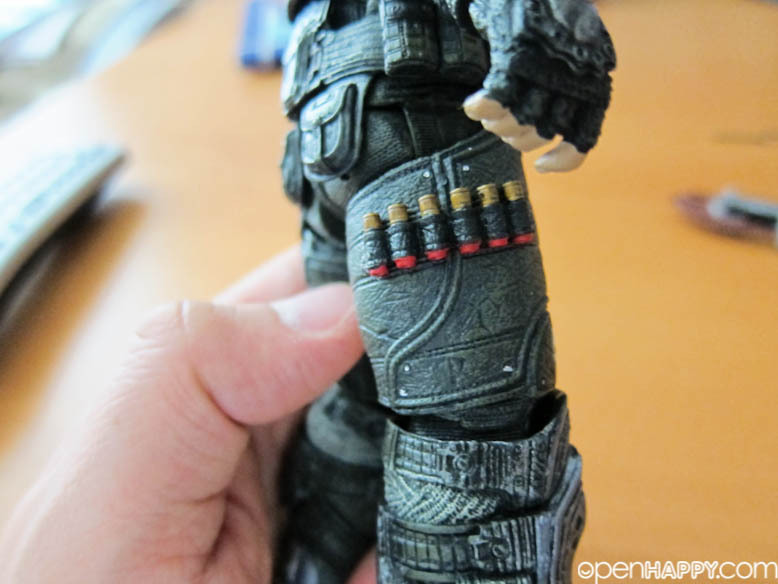 The details are there even though the figure has a plastic feel into it if you are holding one. 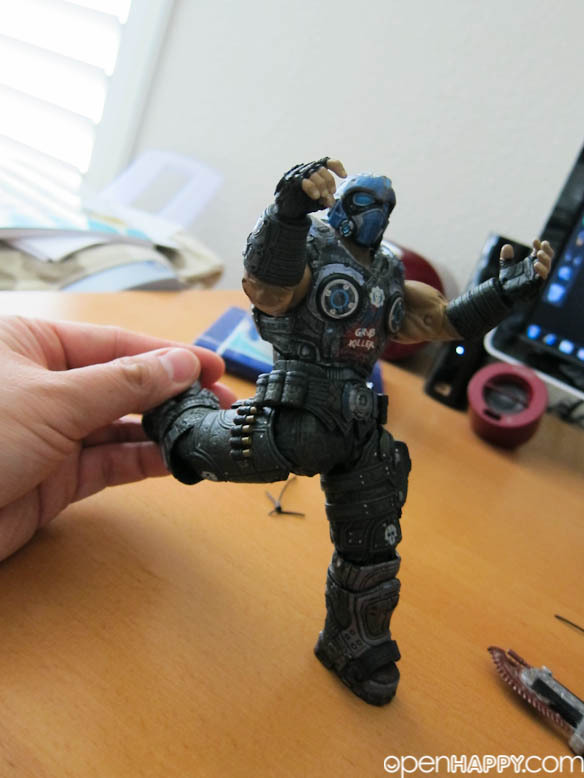 That is how you move.